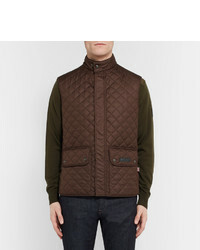 If you're on the lookout for a casual yet seriously stylish outfit, wear a Belstaff quilted shell gilet and brown chinos. 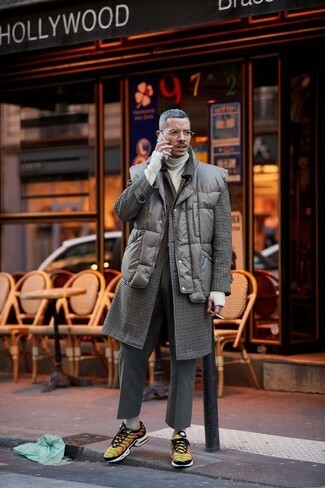 Both garments are super comfy and look great when paired together. 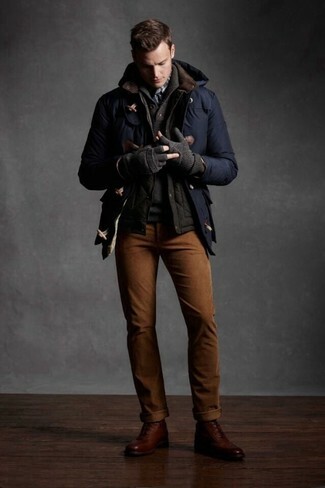 Up the cool of your getup by wearing brown leather brogue boots. 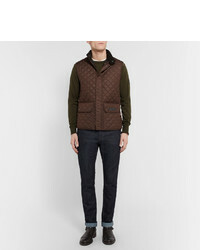 For a nothing less than incredibly stylish getup, go for a Belstaff quilted shell gilet and charcoal wool dress pants. Add a more relaxed twist to your getup with yellow low top sneakers. 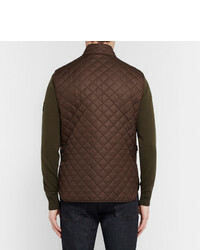 If you're searching for a casual yet dapper ensemble, pair a Belstaff quilted shell gilet with black jeans. 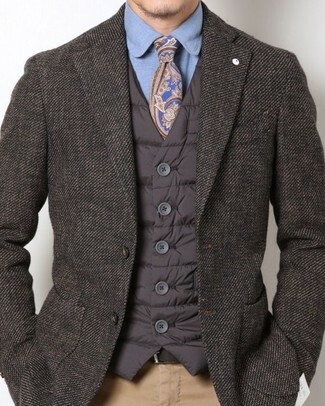 These garments are totally comfy and look great when paired together. 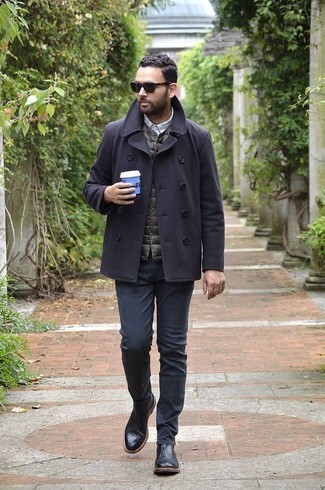 Kick up the cool of your look by complementing it with black leather brogue boots. 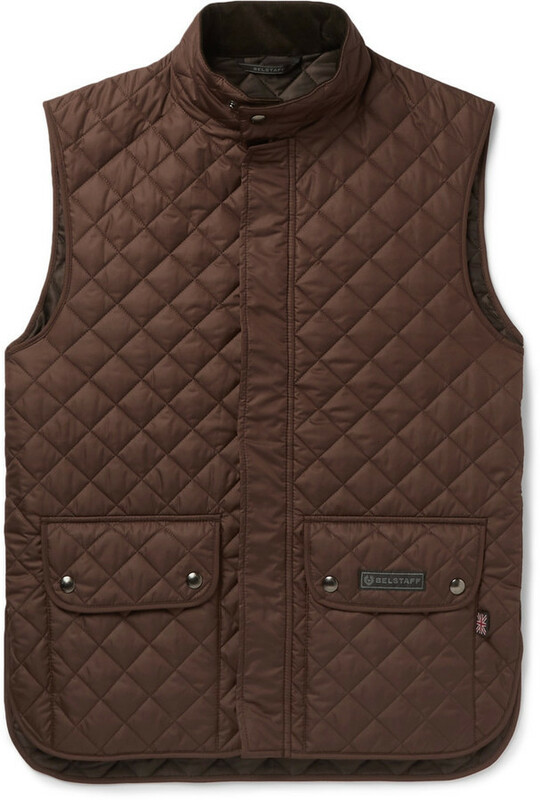 If you're searching for a casual yet seriously stylish look, try pairing a dark brown quilted gilet with khaki chinos. These two pieces are super comfortable and look great together.